A plea for flexibility in apprenticeship off-the-job training requirements has been swiftly rebutted by the Department for Education. In a paper sent to the DfE on Monday, the Association of Employment and Learning Providers, backed by leading employers, asked that employers developing apprenticeship standards be allowed to set their own rules for how much time apprentices spend in off-the-job training. 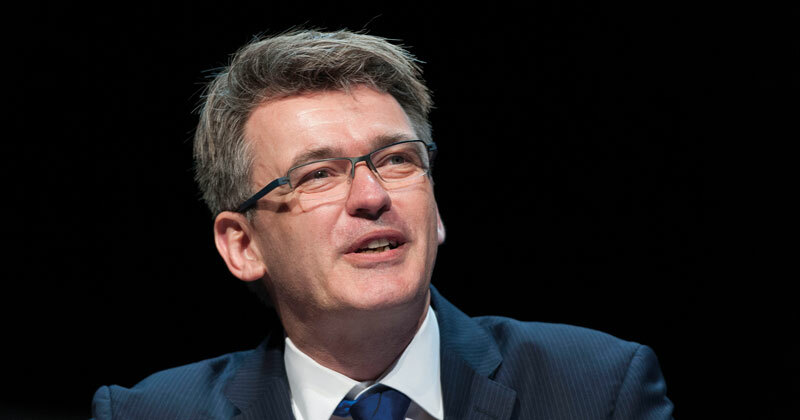 The submission included “substantial evidence” from employers, including several NHS Trusts, sandwich chain Pret a Manger and business services group Rentokil Initial, on the impact the DfE’s “arbitrary” 20 per cent off-the-job training requirement would have, and came after AELP boss Mark Dawe (pictured above) met with skills minister Anne Milton earlier this month to discuss the issue. The paper warned of the policy’s “unintended consequences”, while employers claimed that it “limits their participation, engagement and appetite to fully embrace apprenticeships”. “Ramifications are wide-ranging, from limiting social mobility and hampering the achievement of the three million apprenticeship starts to which the current government is committed,” the AELP said. In place of this one-size-fits-all approach, the organisation asked that the employer groups developing the be allowed to “decide what the percentage of off-the-job should be for required for each of their standards”. They should “have the authority to recommend to the Institute for Apprenticeships and the Education and Skills Funding Agency the percentage which should be delivered as part of an apprentice’s working hours”, it added. A DfE spokesperson was quick to rebut any possibility that the rule would be reviewed. They insisted that the 20 per cent rule is “a core principle that underpins a quality apprenticeship” and “a key aspect that makes an apprenticeship distinct from other work-based learning”. Under current ESFA rules, introduced in May, all apprentices must spend at least one fifth of their time in off-the-job training. This is defined as “learning which is undertaken outside of the normal day-to-day working environment and leads towards the achievement of an apprenticeship”. It can include training “delivered at the apprentice’s normal place of work” but it “must not be delivered as part of their normal working duties”. The rule has proved extremely divisive throughout the sector. In a recent FE Week feature, Sue Pittock, the chief executive of Remit Training, argued that homework – done outside the apprentices’ normal working hours – should count towards the 20 per cent. This view was backed by Mr Dawe, who, as part of the same feature, described the “mandatory 20 per cent” as a “throwback” that “doesn’t offer any correlation with the quality of the provision actually being delivered”. And Paul Joyce, Ofsted’s deputy director for FE and skills, told the AELP conference in June that the inspectorate would not be auditing providers’ compliance with the rule during inspections. It’s not a universally unpopular policy, however: many others in the sector want the 20 per cent rule to stay, in order to protect apprentices from exploitation.